What do you carry to work every day? 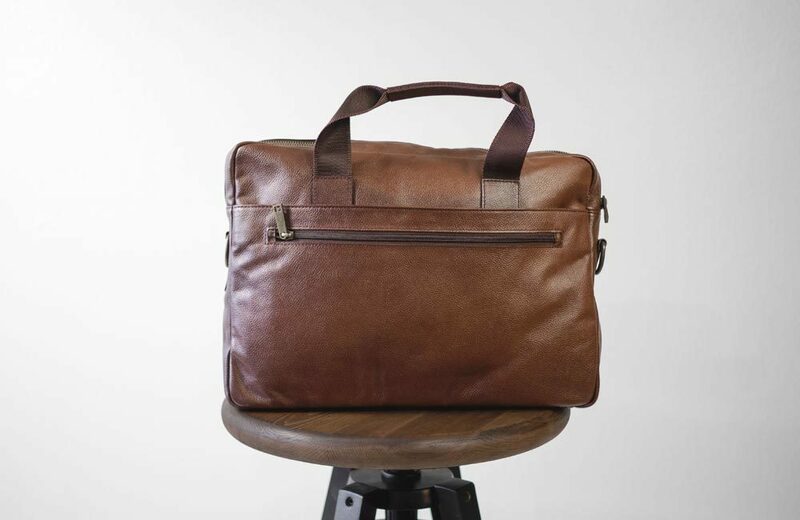 For style, functionality, and lifetime durability it’s hard to beat the classic leather briefcase. Gone are the days of bulky, square design and combination locks. 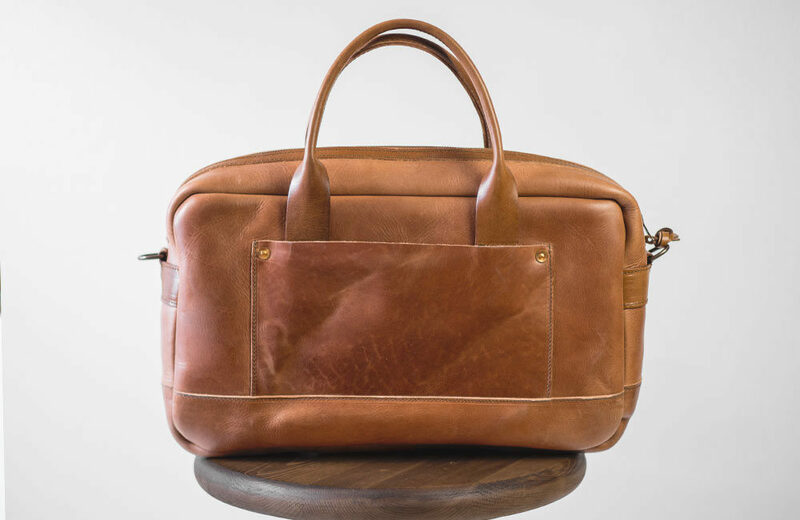 Today’s best-designed leather briefcases are minimalist, low-key, and complement a range of styles from business casual to smart casual to more dressed up. And then there’s how you feel carrying one: it instills a confidence that’s part Don Draper creative, part Warren Buffett businessman. 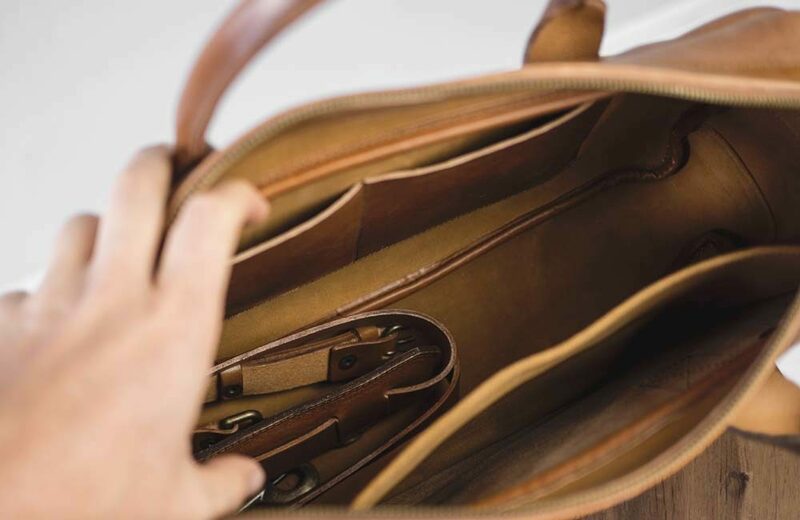 In curating this list, we’re bringing you the best affordable leather briefcases at several price tiers – as you climb the ladder cost-wise, you unlock more premium leathers and craftsmanship – but rest assured that each is the best buy compared to their peers. The Italian made Baccini easily wins the affordability game in this group, but it’s also a serious value due to its list of features that includes soft and strong calfskin leather, padded laptop compartment, twin large exterior pockets, sturdy metal top zipper for security, and an adjustable and removable soft fabric shoulder strap along with twin hoop handles in matching leather. Our favorite feature, however, happens to be the simple vertical exterior zipped pocket with its own riveted leather pull tab. 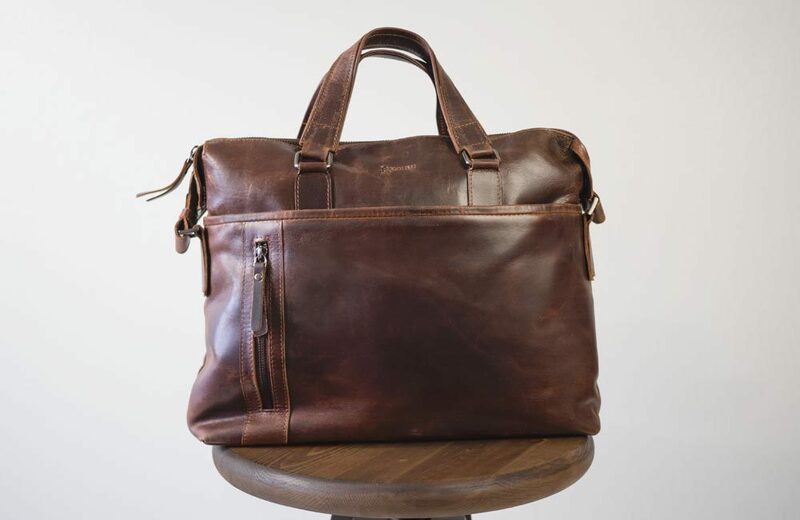 We've regularly featured this bag as our favorite leather briefcase under $100. The Model No. 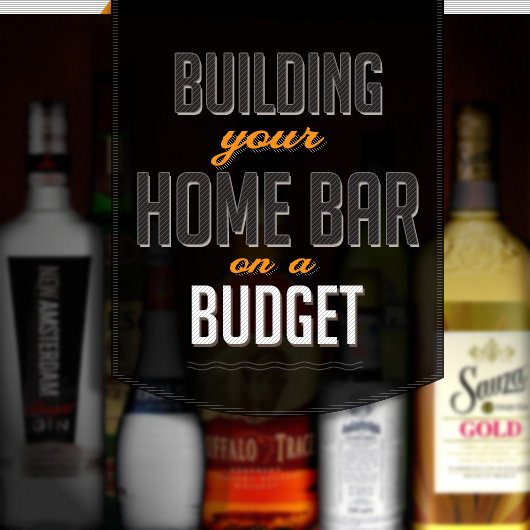 1 is minimalist and seriously affordable. But neither of those descriptors equate to impracticality since the No. 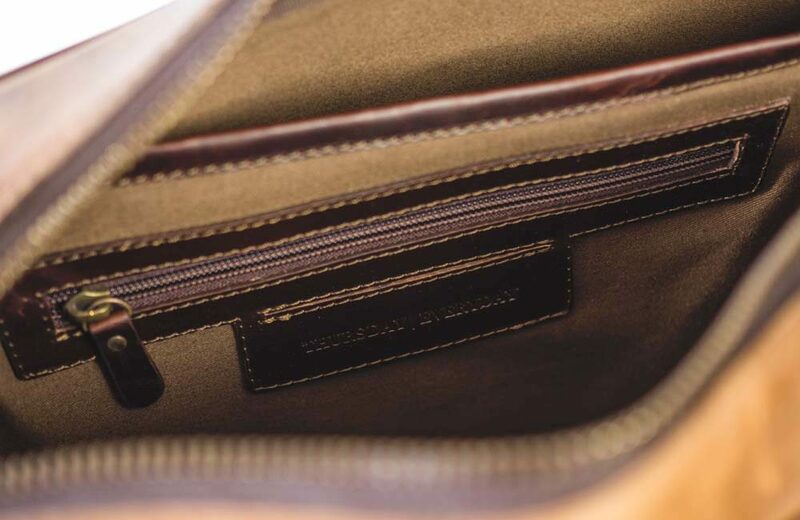 1 is made with real leather and can hold your stash thanks to interior slots for smartphone, business cards, etc. 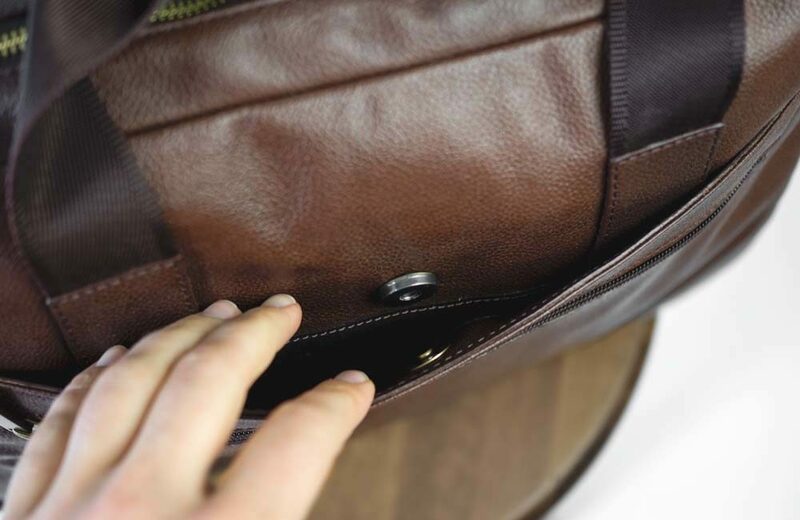 There’s also a full-length magnetic flap pocket, as well as a big open pocket for quick-grab items. 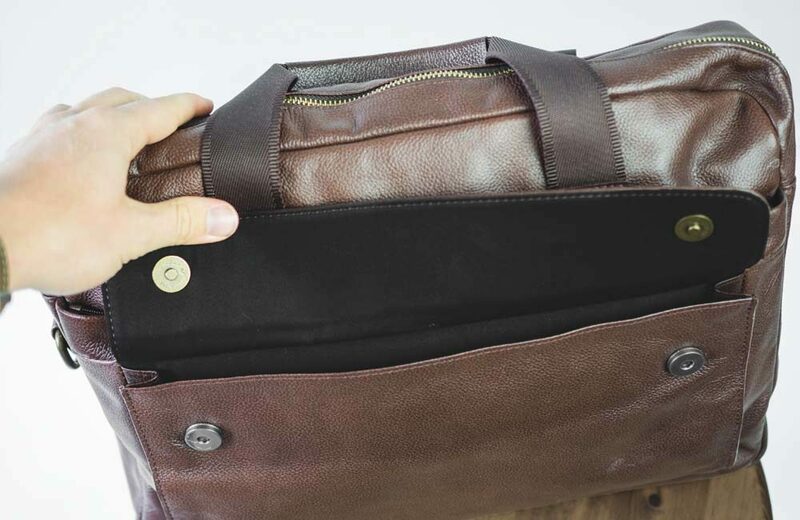 It’ll also hold your laptop, secure your keys with an internal hook, and house three pens in individual slots. 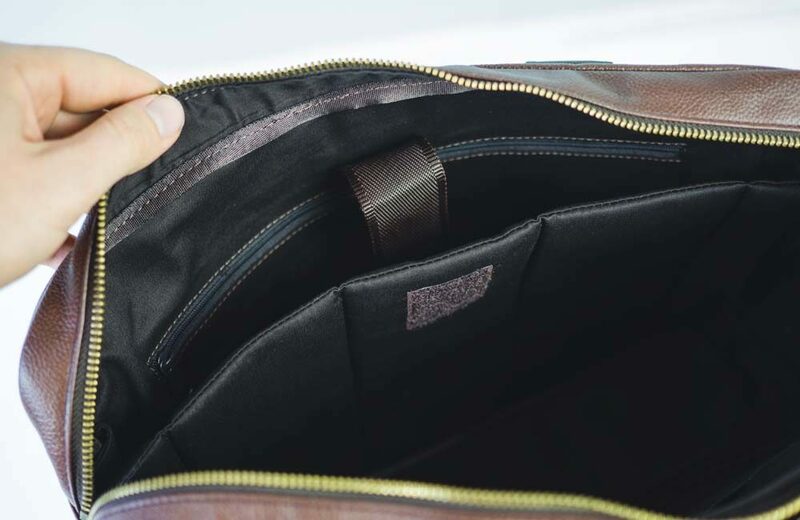 The interior zipped pocket provides an extra measure of security for private documents. And lest you worry about comfort, the removable and adjustable shoulder strap is padded. Done. One thing to note: the Model No. 1 is a Kickstarter, so you’ll need to sign up for the Daniel email list in order to unlock their very attractive pricing. 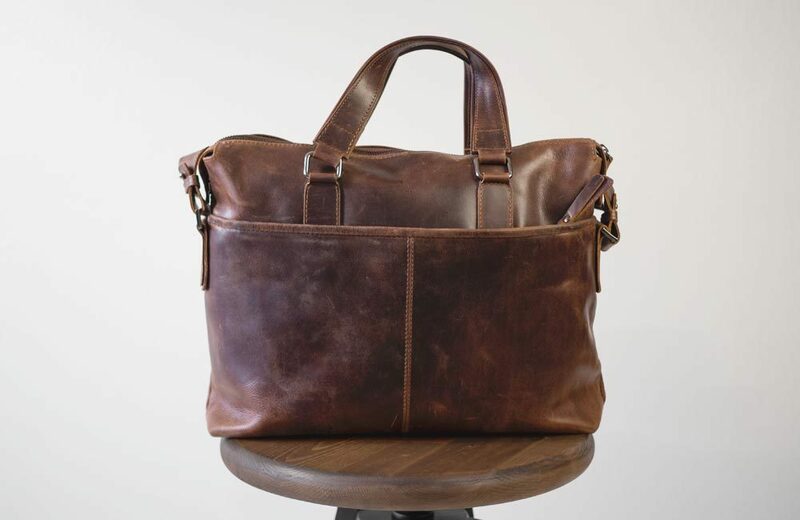 It’s handcrafted and looks the part with vintage-style Horween Tumbled Natural Chromexcel leather and complementary solid brass hardware that, together, evoke the past appropriately. 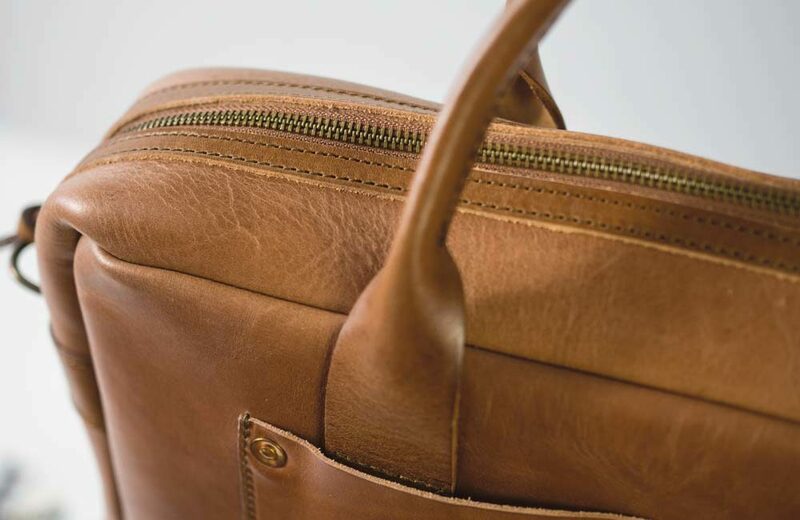 The Continental has two large exterior pockets that latch with a slide and can be sized with buckles, and internal organization pockets for daily gear. 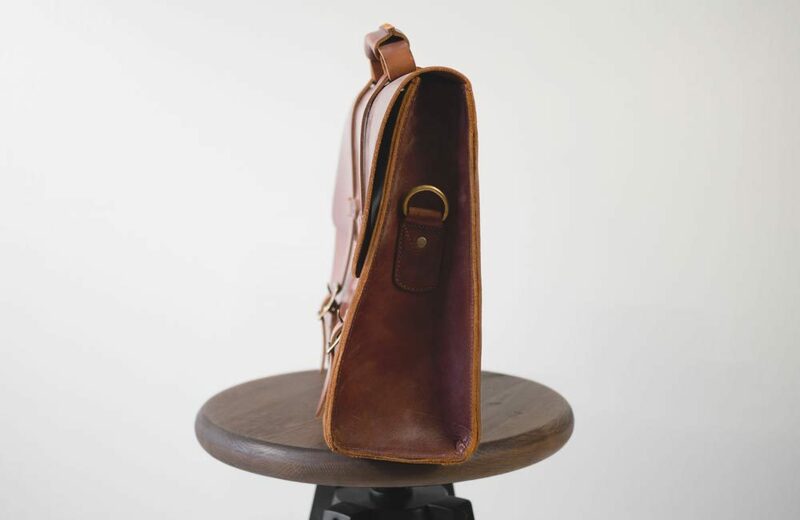 The big grab handles and a removable shoulder strap provide carry options, while the bottom of the handsome briefcase is reinforced so you can worry less about wear and more about getting where you need to on time and in style. 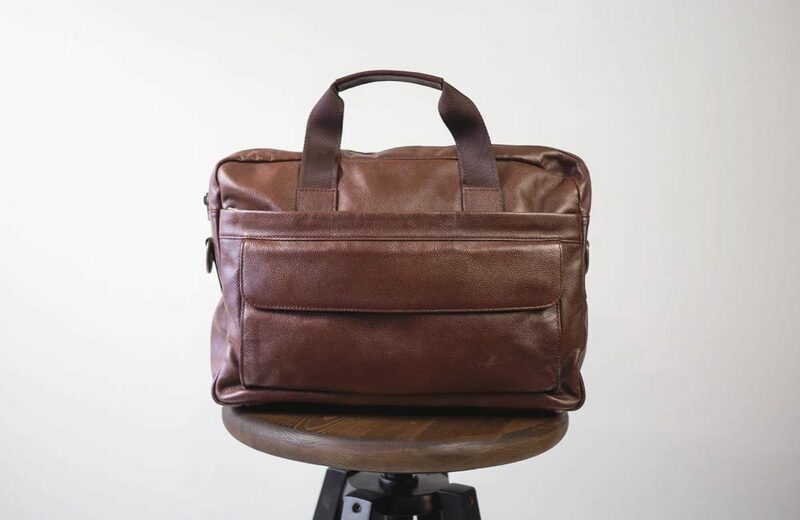 The briefcase is intentionally compact for easy transport but still provides room for your daily carry items like a laptop and smartphone/tablet. 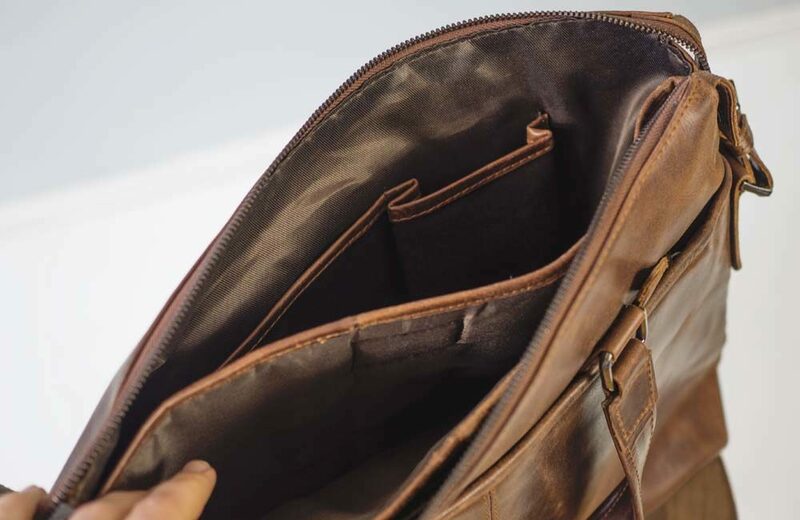 It’s made with 100% full grain vegetable tanned leather and incorporates vital details like a smooth-operating talon zipper for security, two easy-access external pockets for documents and small gear items, and an adjustable strap for comfort. Click here to check it out, and pick up one of their chambray work shirts too. 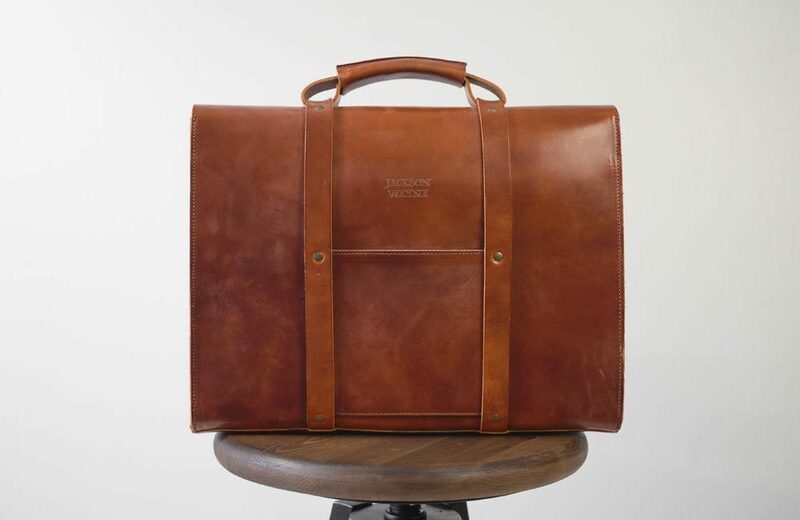 If you're ready to invest more for your daily briefcase, look no further than the American-made Jackson Wayne. 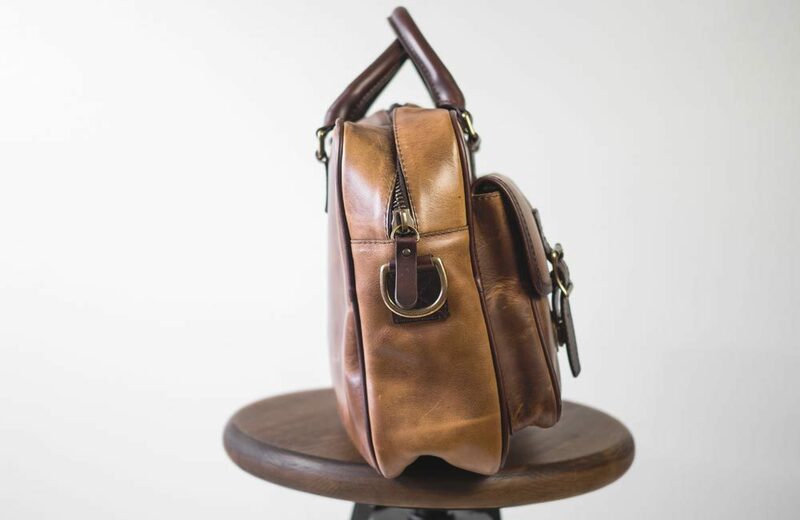 The vintage lawyer-style bag is made with rich, full grain vegetable tanned leather and beautiful antique brass rivets, buckles and hoops. The unlined, full-leather interior, heavy gauge threading, and reinforced exterior points mean it’ll handle regular use for decades. 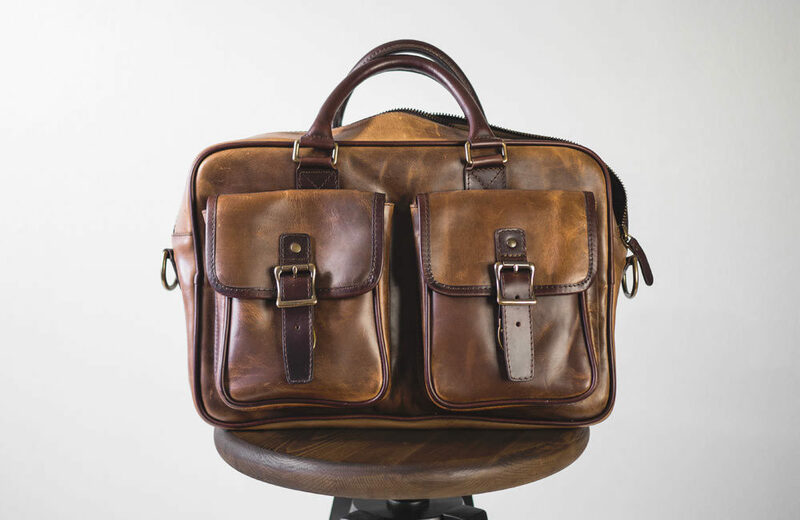 The practical inclusion of a large laptop compartment, a big back pocket for periodicals and important papers, dedicated interior pockets for office items, and both a carry handle and a stunning shoulder strap result in a bag that’s just as good at hauling stuff as it is to behold. 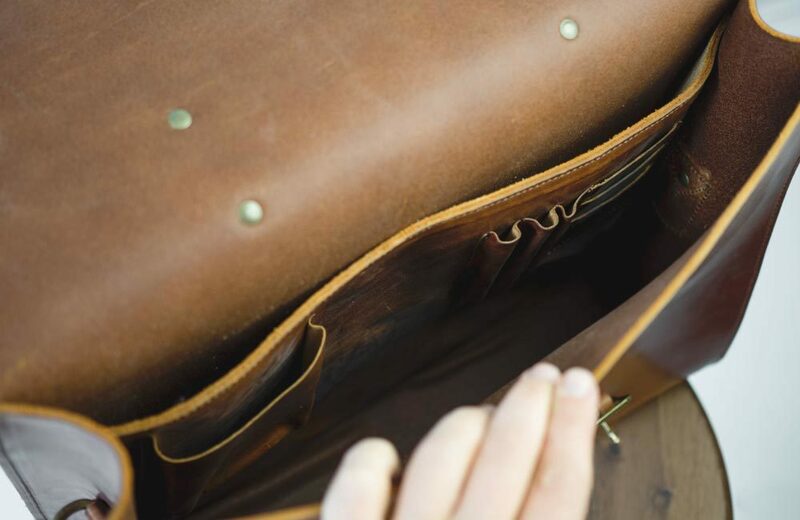 Do you have a leather briefcase you like? Keep the list going in the comments! I’ve been carrying the Baccini daily for about 6 months on Andrew’s recommendation awhile back. Anything happened to it, I’d buy another one. Great bag. iPad Pro or my MacBook fits right in the center with plenty of room for lunch and my files. Don’t hesitate to pick one up. I have, and love the Baccini and have been using it for about two years thanks to Primer. Just be aware that it does not handle legal length files or papers well. 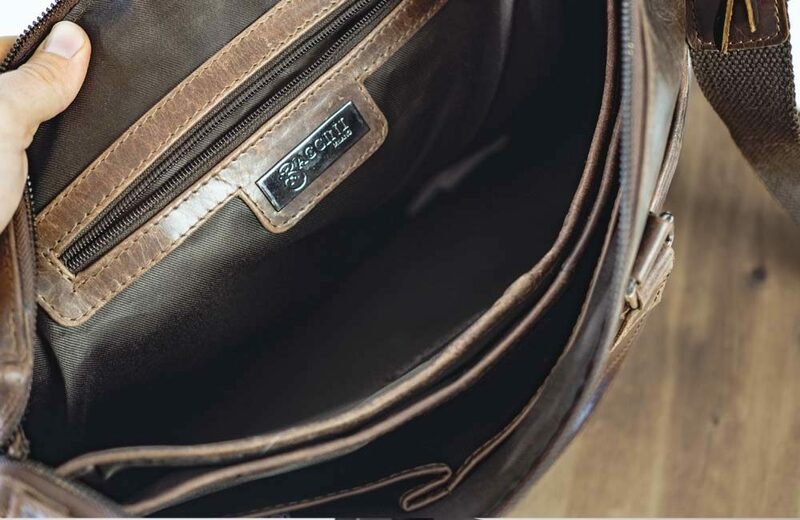 I also have to recommend the Baccini bag – quality seem solid – even more so when you consider the price. It seems to usually run around $99, but has been down to $79 a couple times and lately at $89. Great bag for the price! Another suggestion I’ve heard is the Gustin leather briefcase (no personal experience). It’s closer to $200 but seems like another solid contender. Echoing the comments here, I’ve been using the Baccini for a few years and couldn’t be happier. Having said that, the wp+ really peaks my interest. That tan colour would look great with dark denim, and having had a few job interviews seems the de facto choice for the creative industry. 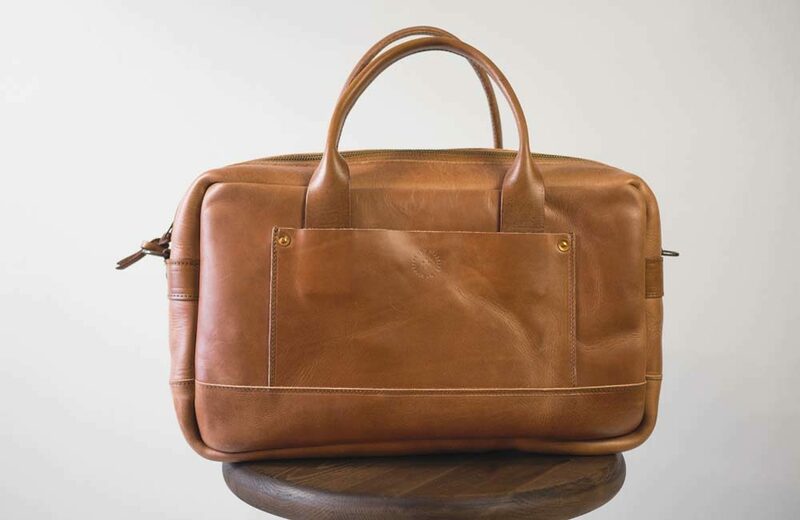 A tan slim leather soft briefcase. Sooo, anything that’s a bit cleaner and less busy? 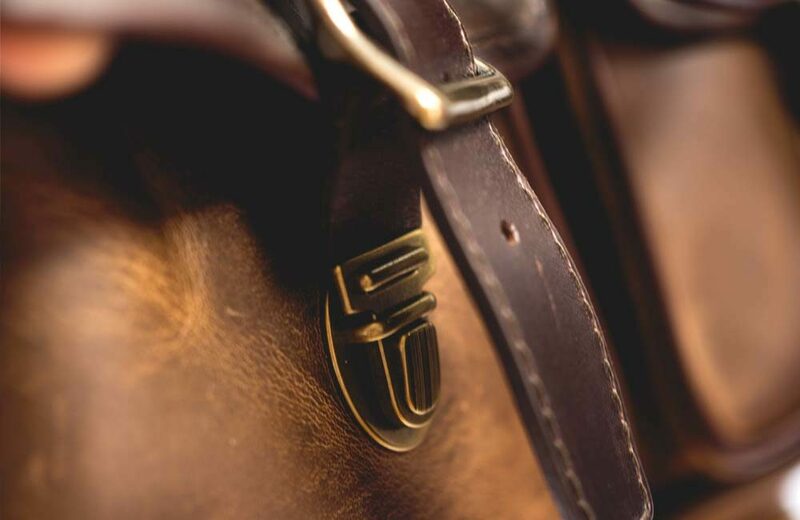 There are a couple of those that look great if I was on a horse in 1800… Not to be too critical but there are some of us who want something clean without a zillion pockets, buckles, and superfluous details (and more attention to details like stitching and better closure and high quality solid sheets of leather.). That’s one reason I bought the Baccini. It has some pockets and storage, but is still rather slim without all of the huge exterior pockets and such. I know there are slimmer options, but I was afraid the tradeoffs would be not having enough storage for daily items. To add to the person recommending Saddleback stuff, take a look at Buffalo Jackson as well. I have the Denver Attache in Whiskey (got as a wedding gift from my wife) and have used it every day since November and love it. Great and minimalist. Perfect for a laptop, a small padfolio, calendar, and headphones, etc. The Daniel’s looks great – big fan of the minimalist design. Thanks for the recommendation. I’ve signed up for the email list and look forward to backing them on the Kickstarter. 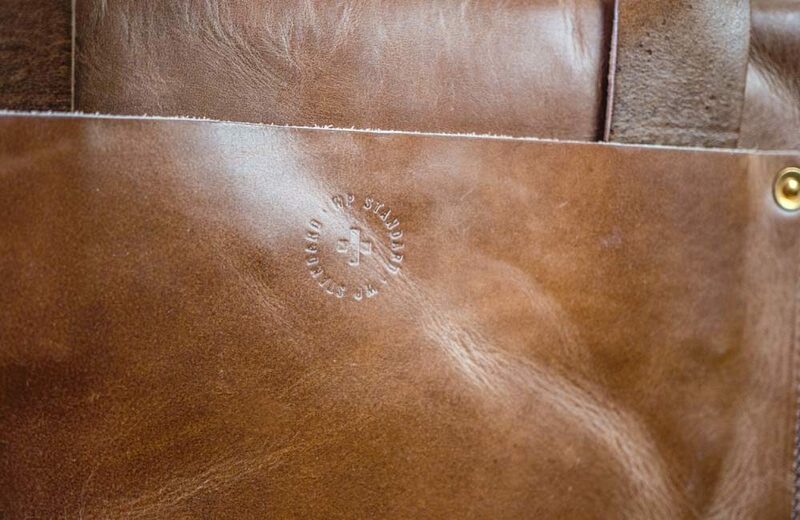 Leather messenger bags , handcrafted in India by skilled craftsmen. 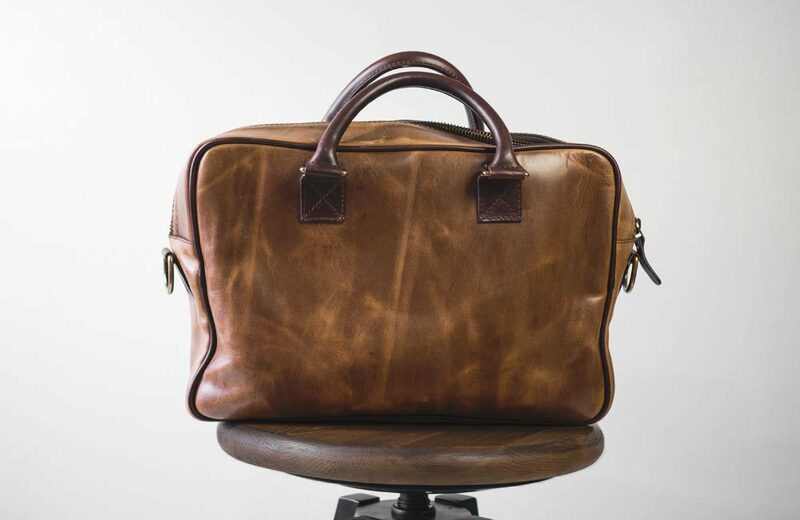 Shop leather bags, leather briefcases, leather duffles, and leather handbags.